The NBPGR Regional Station functioning since 1977 at Vellanikkara (Latitude 10o 31’ N, Longitude 76o 17’ E altitude 40 m above MSL with annual rainfall around 3000 mm), Thrissur is responsible for plant genetic resources related activities in the south western peninsular region of India comprising southern Western Ghats in the States of Kerala, Tamil Nadu, Karnataka and Goa and the Union Territories of Lakshadweep and Andaman & Nicobar (A&N) Islands. From 1978-2016, a total of 237 exploration missions was executed based on the crop priorities fixed from time to time, independently or in collaboration with ICAR/ SAU/ International institutes. Ten exploration trips in collaboration with International Institutes namely ICRISAT (3 trips), CSIRO (1), IRRI (2) and IBPGR (4) were carried out. The other national collaborators (ICAR institutes/ SAUs) were ANGRAU, CARI, CPCRI, CTCRI, IIHR, IIPR, IISR, KAU, NRC Banana, SBI, TNAU and UAS-B. So far, 29148 samples were collected from 115 missions conducted during the pre-NATP-PB period, 57 NATP-PB missions and 65 post-NATP-PB missions, of which 696 samples were from A&N Islands, 146 from Andhra Pradesh, 60 from Arunachal Pradesh, 203 from Assam, 2 from Daman & Diu, 2 from Delhi, 237 from Goa, 71 from Gujarat, 4319 from Karnataka, 14481 from Kerala, 106 from Lakshadweep Islands, 117 from Madhya Pradesh, 94 from Maharashtra, 2 from Meghalaya, 156 from Mizoram, 177 from Nagaland, 16 from Pondicherry, 29 from Sikkim, 7989 from Tamil Nadu, 101 from Tripura, 5 from Uttar Pradesh, 34 from West Bengal and 105 samples from Nepal. New Taxa Described: Six taxa new to science namely, Abelmoschus enbeepeegearensis, Curcuma karnatakensis, C. kudagensis, Momordica sahyadrica, Piper psuedonigrum and Vigna konkanensis have been described from the region by the scientists of the station. New Reports Made: New reports of extended distribution of the species Curcuma albiflora, C. oligantha and Vigna dalzelliana were made from the region. Taxonomic status of Cucumis callosus as a sub-species of Cucumis melo and C. setosus as a valid species distinct from C. sativus was established. New Areas Explored: Several areas were explored for the first time namely Havloc, Hutbay, Katchal, Kamorta, North Andaman, Middle Andaman and South Andaman in Andaman & Nicobar Islands; Muthikulam forest of Palakkad dt., Kerala; six inhabited islands of Lakshadweep; Siriyur area of Trichy dt., Tamil Nadu; Indira Gandhi Wild Life Sanctuary and Parambikulam Wild Life Sanctuary of Tamil Nadu and Yelagiri and Javadu hills of Tamil Nadu. Special Missions Undertaken: Seven special missions were organized to Kalakkad Mundanthurai Tiger Reserve forest (3 trips), Silent Valley National Park of Kerala (2) and Indira Gandhi Wild Life Sanctuary of Tamil Nadu (2) were undertaken during the year 2000-2001. In total 413 accessions comprising wild relatives of crop plants and other economic species were collected. Special Mission to Andaman & Nicobar Islands: A special mission involving scientists from IISR, CPCRI, CTCRI, SBI and NBPGR was conducted to A & N group of Islands and 107 accessions (coconut-11, spices and condiments-6, tubers-13, sugarcane-1, wild sugarcane-7, wild relatives of tubers and spices-48 and other economically important species-20) were collected. Special Missions to Tsunami Affected Areas: Two special missions one each to tsunami affected areas of southern Tamil Nadu (2005) and Kerala (2005) were conducted and 26 accessions were collected. So far, 4116 accessions of field crops comprising rice (3205accessions) and horse gram (911), 1341 of horticultural crops comprising Chinese spinach (91), Amaranthus blitum (8), A. graecizans (2), A. dubius (15), bitter gourd (15), Chinese potato (33), field bean (47), Mucuna pruriens (15), okra (863), brinjal (174), snake gourd (49), taro (134), elephant foot yam (35), ginger (40), black pepper (85), lesser yam (65) and turmeric (426) were characterised. One hundred and ninety-seven accessions of okra and 7 of taro were evaluated under multi-location evaluation along with crop based institutes. A total of 293 accessions of wild relatives of crop plants comprising Curcuma aeruginosa (31), C. amada var. amada (41), C. amada var. glabra (8), C. aromatica (14), C. caesia (5), C. zanthorrhiza (47), Solanum incanum (23), S. insanum (51), Trichosanthes cucumerina (15), T. lobata (4), Vigna trinervia var. bourneae (3), V. dalzelliana (18), V. marina (1), V. mungo var. sylvestris (7), V. pilosa (1), V. radiata var. sublobata (3) and V. trilobata (21) were also characterised. Among the perennial horticultural crops, 49 accessions of jackfruit, 24 of Malabar tamarind, 9 of kokum and 40 of mango were also characterised. Bird’s eye Chilli (Capsicum frutescens): Eleven samples collected from North-Eastern region and parts of Kerala were sown for initial seed multiplication, further evaluation. Khoon phal (Haematocarpus validus): A wild gathered edible fruit having potential as natural food colorant was received from CARI, Andaman Islands and established in the nursery. Its seeds are recalcitrant but have dormancy of 2 months. Scarlet egg plant/ Gilo (Solanum aethiopicum): Solanum aethiopicum is a vegetable cultivated in North-Eastern region for its bitter fruits having hypolipidemic properties. Three samples collected from North Eastern region were sown and seeds multiplied for further evaluation and popularisation in this region. Yard long bean (Vigna unguiculata var. sesquipedalis): Thirty-three samples of vegetable cowpea collected from North-Eastern region were characterised for 2 qualitative and 8 quantitative traits and multiplied seeds kept for further evaluation and accessioning. Aloe vera: Non-bitter vegetable type of Aloe vera (IC333202) brought from NBPGR RS, Jodhpur was found well adapted in Thrissur, Kerala. Cluster bean: Eleven accessions of vegetable type cluster bean were evaluated for adaptability to humid tropic climate prevailing in Kerala. Collection No. NKD 52 recorded highest pod weight/plant (450 g) followed by NKD 54 (353 g), PNB (220.88 g) and IC040021 (212.70 g). Highest pod length (13.5 cm), pod width (1.3 cm) and pod weight (6.512 g) were also recorded in NKD 52. Caryota mitis. Caryota mitis called Burmese fish tail palm/ cluster fish tail palm (IC553772) collected from Andaman Islands in 2007 was multiplied. The palms are dwarf and multiple clump forming coming to bearing on 4th year and producing over 10 bunches. By virtue of their dwarf habit they can be well exploited for neera tapping and as cultivated fodder for elephants. Seeds are available for distribution to user agencies under MTA. MTS: In total, 8919 accessions belonging to 18 genera and 114 species in 27 crops, 23 medicinal plants and 78 wild relatives are conserved in MTS facility. Field Gene Bank: A total of 1862 accessions in 119 species belonging to 44 genera are being maintained in field and pots under the shade, net and poly houses. This includes spices (473 accessions), tubers (282), medicinal plants (450), dye yielding plants (60), fruits (199), wild relatives (364) and vegetables (6). LTS: A total of 16830 accessions were sent for long-term storage and 1564 accessions to MTS facility for medium term storage at NBPGR, New Delhi. In addition to these, 4257 accessions received from other co-operators were also sent to Germplasm Conservation Division for LTS/MTS. For in vitro conservation/ cryo-preservation, 2182 accessions were sent. Pollen of 9 species of Abelmoschus, 8 of Vigna, 2 of Momordica and 8 of various medicinal plants were deposited in cryo-bank. Germplasm receipt: A total of 19656 accessions in 145 genera were received from 48 different sources for further maintenance, seed multiplication and evaluation. Germplasm transfer to crop-based institutes: In all, 2194 accessions of different crops were transferred to crop-based institutes such as ICAR-CISH, Lucknow, UP (67); ICAR-CTCRI, Thiruvananthapuram, Kerala (1247); ICAR-IIHR, Bengaluru, Karnataka (28); ICAR-IISR, Kozhikode, Kerala (556); ICAR-DMAPR, Anand, Gujarat (5) and ICAR-NRCB, Tiruchirapalli, Tamil Nadu (291). Supply to user agencies: Under material transfer agreement (MTA), supplied 21655 accessions to various user agencies comprising ICAR institutes (6369), SAUs (12555) and other institutions (2731). A total of 2358 accessions were transferred to the NAGS for maintenance and utilization. Supply for multi-location evaluation: Supplied 1300 accessions comprising 800 of horse gram (100 each from 2005 to 2013) to 3 institutions under the National Network Research Project on Arid Legumes; 500 (100 in 2005, 2007, 2009 and 2010 in 2011) of okra in 7 sets to ICAR-Indian Institute of Vegetable Research, Varanasi under the All India Co-ordinated Research Project on Vegetable Crops. Supply for Chemical Evaluation at NBPGR, New Delhi: Supplied 1032 accessions of different crops to Germplasm Evaluation Division, ICAR-NBPGR, New Delhi and ICAR-CTCRI, Thiruvananthapuram for chemical analysis. Seven varieties of vegetables were released by Kerala Agricultural University based on germplasm supplied by NBPGR. Brinjal (Solanum melongena): Department of Olericulture, College of Horticulture (KAU), Vellanikkara has released a brinjal variety, “NEELIMA”, an F1 hybrid between ‘Surya’ x NIC014090 (NBPGR), through heterosis breeding in 1998. Collection source of NIC014090 (NBPGR): Nedumangad, Thiruvananthapuram District, Kerala. Chinese potato (Plectranthus rotundifolius): RARS (KAU), Pattambi has released a new variety of Chinese potato namely, “NIDHI” through clonal selection from the original collection, IC085708 (NBPGR) in 2000. The underground tuber of this plant is pleasantly aromatic and is a short duration vegetable crop in Kerala, parts of Tamil Nadu, Karnataka and Goa. “Nidhi” is the leading variety in Kerala now. Greater yam (Dioscorea alata): One of the greater yam collections, IC44209 (NBPGR), has been released through clonal selection as a new variety “INDU” for intercropping in coconut groves by RARS (KAU), Kumarakom, Kottayam, Kerala in 1997. Okra (Abelmoschus esculentus): Department of Olericulture, College of Horticulture (KAU), Vellanikkara has released a new variety of red okra namely, “ARUNA” based on pure line selection from the original collection, IC218870 (NBPGR) in 2000. This is rich in anthocyanins and valued as health food. Okra (Abelmoschus esculentus): Department of Olericulture, College of Horticulture (KAU), Vellanikkara has released a new variety of okra namely, “SALKEERTHI” based on re selection from the original collection, IC470862 (NBPGR) in 2000. It is one of the leading varieties in Kerala used in home garden cultivation. Characteristic feature: High yield potential, attractive light green long fruit. Okra (Abelmoschus esculentus): College of Agriculture (KAU), Vellayani has released a new variety of okra namely, “MANJIMA” through hybridization between Gowreesapattom Local x IC282257 (NBPGR) in 2007. Characteristic feature: This variety is high-yielding (1.34 kg/plant), compact, early maturing and YMV resistant. Yard-long Bean (Vigna unguiculata subsp. sesquipedalis): Department of Olericulture, College of Horticulture (KAU), Vellanikkara has released a variety, “KAIRALI”, on the basis of pure line selection from IC045415 (NBPGR) in 2000. Malabar tamarind (Garcinia cambogia), IC244100-2 (INGR No.04061) and IC244111-1 (INGR No.04062) for early bearing (6 and 7 years after planting, respectively) in 2004. Kokum (Garcinia indica), IC136687-3 (INGR No.04063) is high yielding in number of fruits (2898 per year) in 2004. Greater galangal (Alpinia galanga) accession IC349746 (INGR No. 08107) for highest 1,8–cineole (72.49%) in 2008. Lesser galangal (Alpinia calcarata) accession IC210421 (INGR No. 09051) for high 1,8–cineole (37.21%) and frenchyl acetate (19.87%) in 2009. Black pepper (Piper nigrum) IC266417 (INGR10065) for its oval shaped berries in 2010. Fifteen field days were conducted in crops and crop wild relatives involving SAUs, ICAR institutes and students. Two Tribal Agro-Bio-diversity Fairs were conducted, the first at Attapady, Palakkad district on March 29, 2012 concentrating on Muthuva, Irula and Kurumba tribes and the second at Kannavam forest, Kannur district on March 31, 2012 concentrating on Agro-biodiversity of Kurichaya tribe. As a part of PGR awareness generation, 4 biodiversity fairs including two in tribal areas, 6 grass-root level trainings (3 for women farmers) were conducted. Three orientation trainings and 2 general training with special emphasis on wild relatives were also conducted for the co-operating centres and SAUs under NATP-PB. PGR conservation awareness was generated among the farming community in Kerala through 5 grass-root level trainings covering 3 districts benefiting 372 male and 312 women farmers and among college students through biodiversity fairs and seminars conducted in 2 colleges benefiting 4335 students. Three on job-short training under HRD on PGR management under NATP in ToE mode was conducted and 10 scientists from SAUs were benefited. Tissue culture training was imparted to 9 M. Sc. students. Dr. Joseph John was awarded Dr. RK Arora Best Paper Award 2008 of the Indian Society of Plant Genetic Resources for the paper entitled “Occurrence, distribution and ex situ regeneration of Balsam apple (Momordica balsamina L.) in India” published in the Indian Journal of Plant Genetic Resources, 2008.. 21 (1) 51 – 54. Dr. Joseph John co-authored Dr. R.K Arora Best Paper Award 2010 of the Indian Society of Plant Genetic Resources for the paper entitled “Floristic Diversity of Potential Horticultural Plants in Bay Islands of India” (TVRS Sharma, V Jayakumar, TC Shyju, S Rajalakshmi, KN Ganeshiah, K Joseph John and RC Srivasthava 2010, Indian J. Plant. Genet. Resources 23 (2): 199 – 205 (which is based on the field survey conducted in the Islands in 2008). 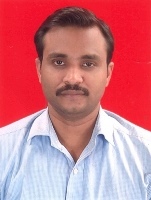 Dr. Joseph John K and Dr. NK Dwivedi were recognized as Journal Reviewer (since 2004) of Indian Journal of Traditional Knowledge, a journal published by NISCAIR (CSIR). Best Poster Paper Award under the theme on ‘Conservation and Utilisation of the PGR’ was awarded to the poster on “Genetic Resources of Wild Vigna Species – A Treasure House for Broadening the Genetic Base in Cultivated Vignas” authored by Latha M, Nissar VAM, Roy YC, Bhat KV and S Mani in the National Symposium on “Crop Improvement for Inclusive Sustainable Development” at PAU, Ludhiana, Punjab during November 2014. Utilization/ popularization of elite germplasm through information dissemination in the region like field days, exhibition, biodiversity fairs etc.